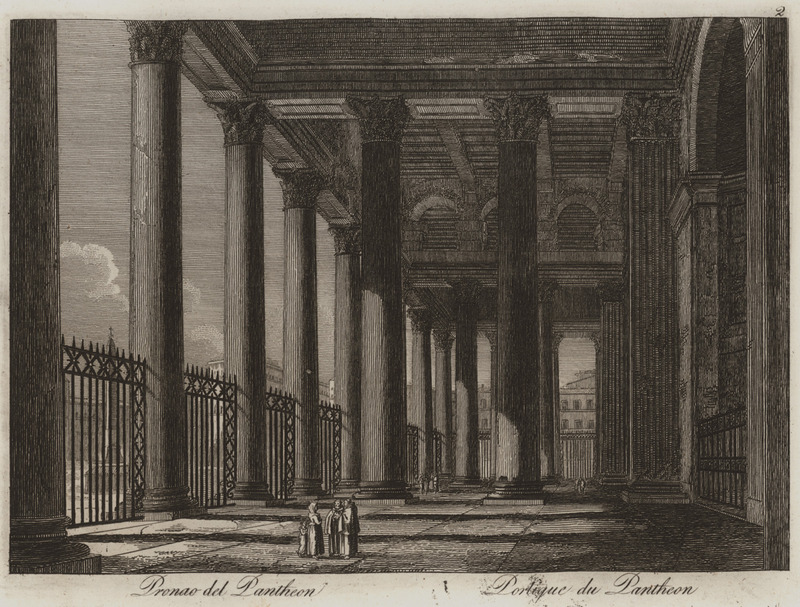 The pronaos to the Pantheon of Rome. 1: Views and plans of Egyptian, Jewish and Phoenician temples. 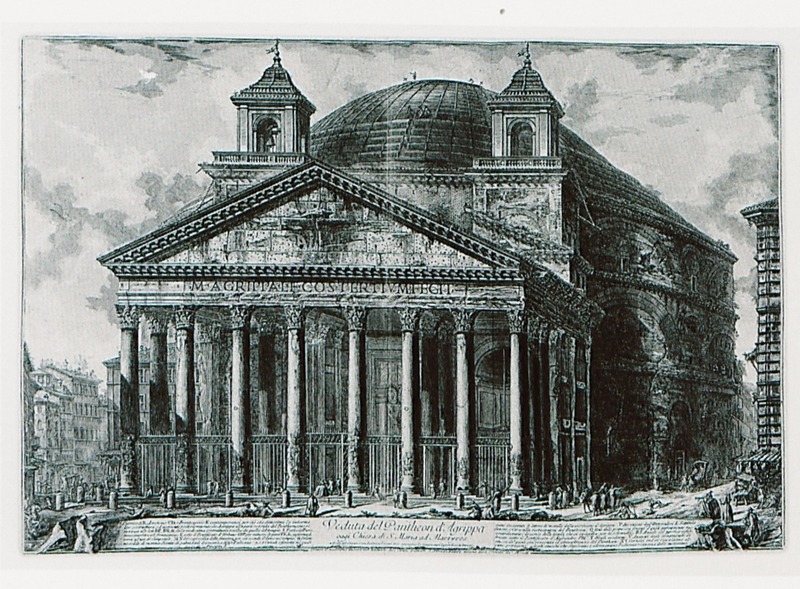 2: Views and plans of Greek and Roman temples. 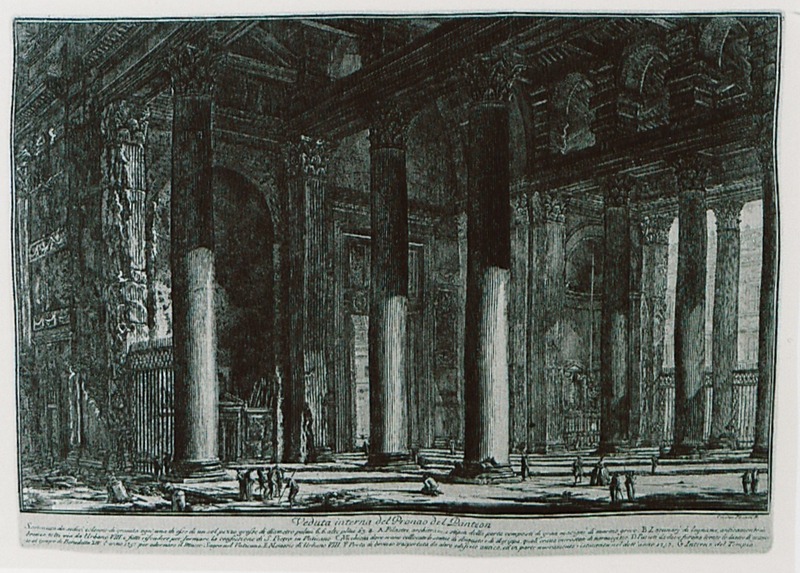 3: Views and plans of Christian temples. 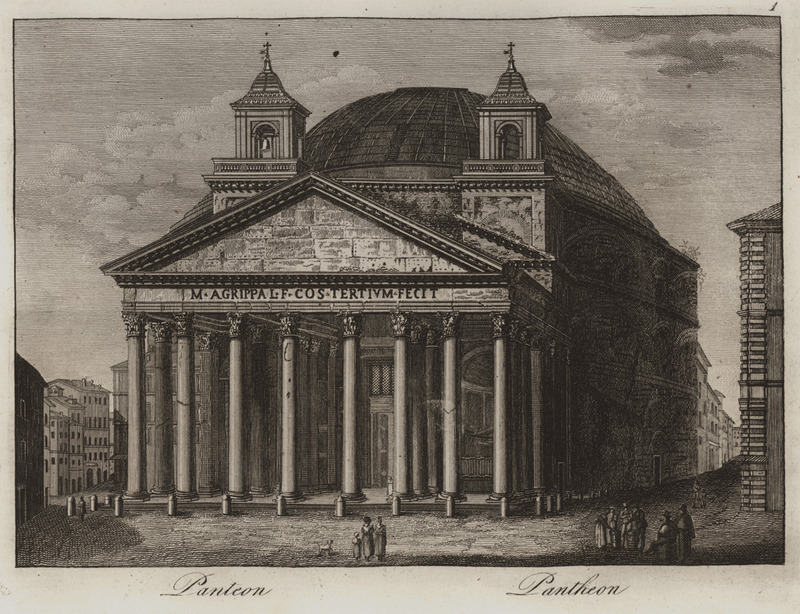 View of the Pantheon of Rome. 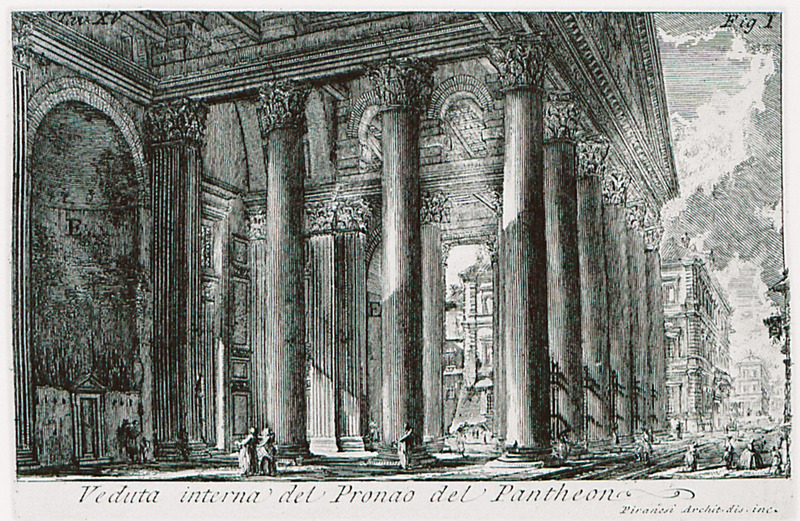 The pronaos of the Pantheon of Rome. 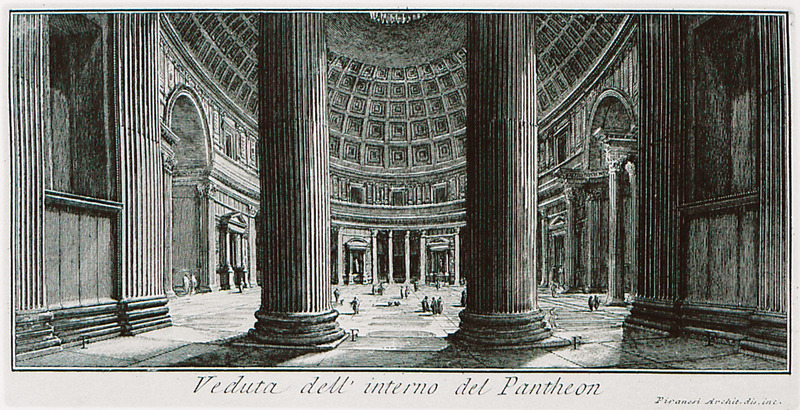 Interior of the Pantheon of Rome. 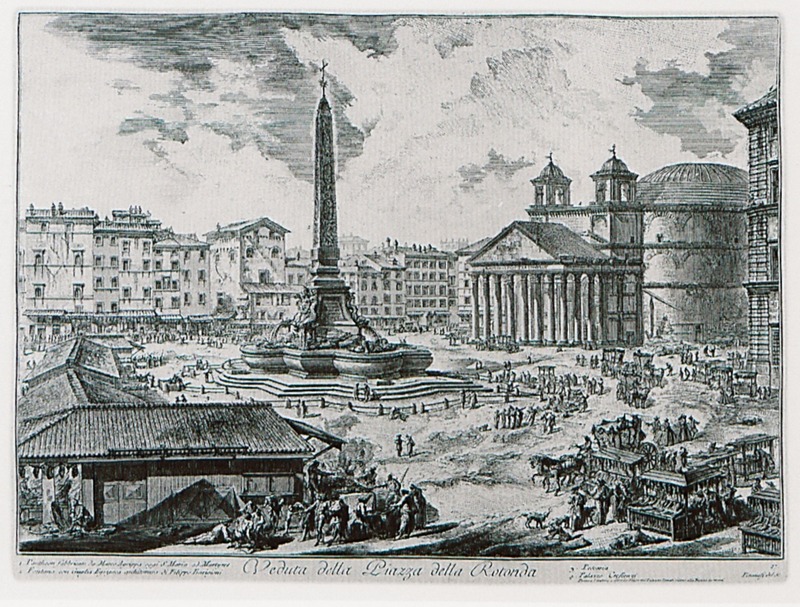 View of Piazza della Rotonda, Rome. 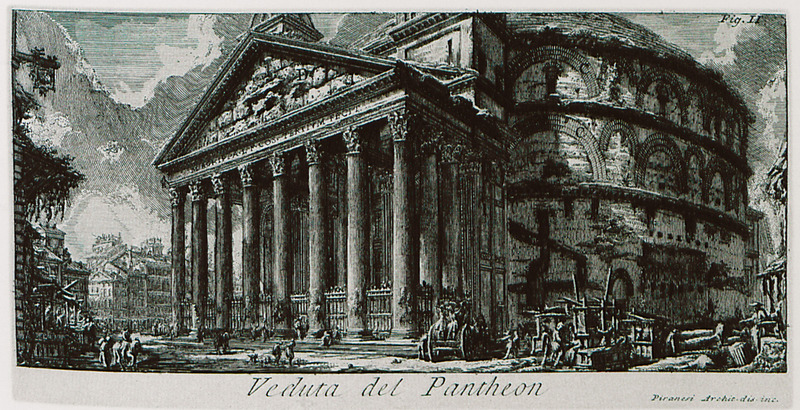 On the right, the Pantheon. At the centre, the fountain and the obelisk. 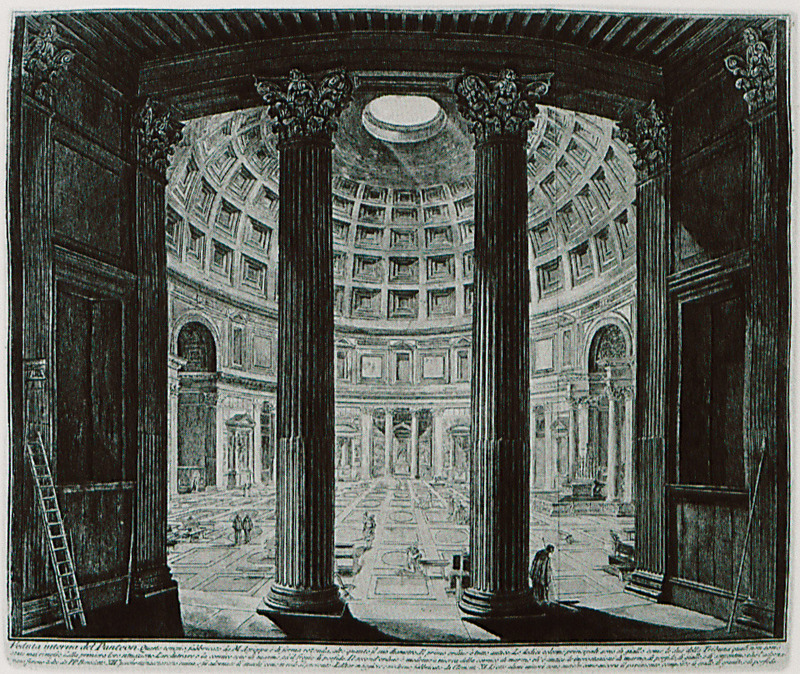 View of the pronaos of the Pantheon of Rome.